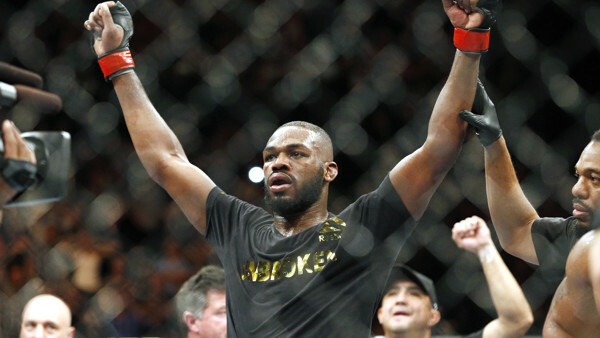 Can Jon Jones continue his dominance of the 205lb division and destroy top contender Anthony Smith? The UFC's first big event of 2019 is only a few days away and the excitement for the extremely stacked card is palpable. From start to finish, UFC 235 has a mouth-watering amount of talent looking to showcase their mixed martial arts skills on the biggest platform available in what should be an exciting night of action. Following his destruction of Alexander Gustafsson at UFC 229 in December, light heavyweight champion Jon Jones jumps right back into the Octagon to face off against grizzled veteran Anthony Smith. Can the underdog take his chance and make all the naysayers eat a large slice of humble pie or will Jones continue wrecking every man that steps in his path? If that wasn't enough, there's also a 170lb title fight between reigning champion Tyron Woodley and top contender Kamaru Usman, undefeated welterweight phenom Ben Askren takes on former UFC champ Robbie Lawler and so much more. But who is most likely to walk out of the T-Mobile Arena victorious on fight night? Missing the undercard of an event if usually easily excusable, especially if the fights don't really tickle your fancy or there isn't a specific name that you simply can't miss. Luckily for fight fans, UFC 235's are about as exciting as you're going to get. The UFC Fight Pass portion has a nice mix and match of experienced fighters and promising up-and-comers. Make sure to keep an eye on the middleweight fight between undefeated prospect Edmen Shabazyan and Charles Byrd, along with a potentially very scrappy bout between talented strawweights Polyana Viana and Hannah Cifers. The ESPN portion of the event is where the card really starts to get exciting, as all four fights have the potential - and in some cases guarantee - to be exhilarating fights. Brazilian knockout machine Johnny Walker will look to continue on his destructive run against another impressive, well-rounded light heavyweight in Misha Cirkunov. However, the real gem on the prelims is the featherweight bout between Zabit Magomedsharipov and veteran striker Jeremy Stephens. Zabit has looked sensational since he joined the UFC, beating a number of solid opponents by using his unorthodox grappling and dynamic striking skills. His first challenge will be against heavy-handed veteran Stephens, who will definitely test the Dagestani's chin if given even the slight chance. 'Lil Heathen' , however, looks like his career is on the downturn and Magomedsharipov's is clearly on the rise, so it's difficult going against the UFC's newest star. Of all the fights on the prelims, this one promises the most fireworks and is the perfect lead-in to the UFC 235 main card.